An innovative new product from Ozbreed, Scuff Turf™ is a turf pre-grown with specialised reinforcement mesh, making Scuff Turf™ the answer to growing turf in high traffic areas. 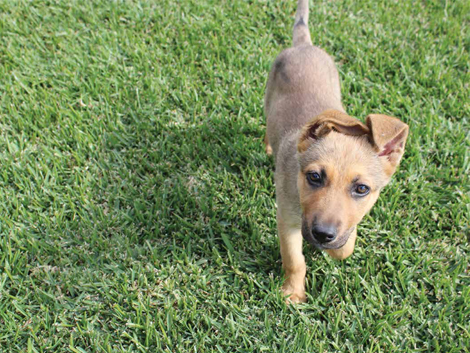 Scuff Turf™ is the perfect solution for those areas that are near impossible to grow turf, such as where your grass receives light vehicle traffic, heavy pedestrian traffic or dog wear and tear. It is also great for front yards, nature strips, golf courses and other sporting facilities, council parks and even for erosion control. The semi-rigid plastic Scuff Turf™ protects the ground from being compacted and stops grass stolons, leaves and roots from being worn out. 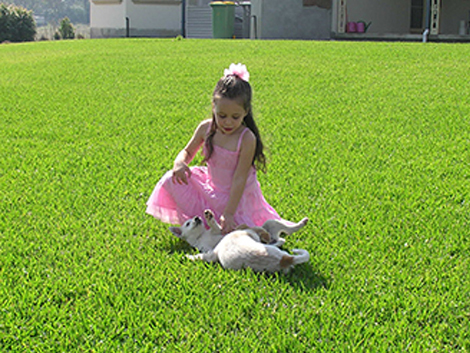 Scuff Turf™ is super wear tolerant, but with the lawn covering the Scuff Turf™, all children and dogs feel is soft grass. 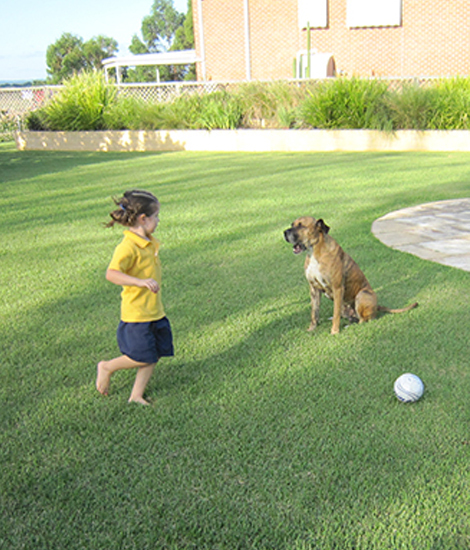 At this stage, Scuff Turf™ is only available in Kenda® Kikuyu, but Sapphire® Buffalo will be available in the future as well as other lawns further down the track. Currently it is only available in NSW and Victoria, but may be available with more growers in other states in the future. Wearing thick gloves is always recommended if you are laying the turf yourself as the mesh can have sharp edges after the turf has been cut. 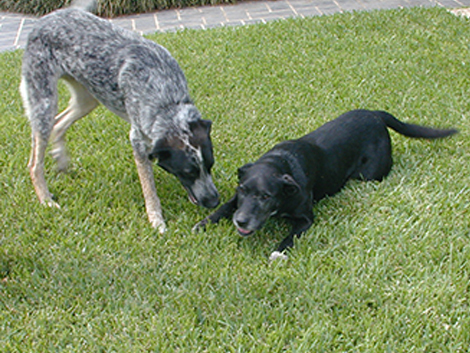 Keep dogs off the grass for 2-4 weeks after the turf is laid, as this will allow the turf time to establish (dependent on time of year and size/number of dogs). How strong is Scuff Turf™? Find out with this video.